The next several months for DC’s GOTHAM ACADEMY are going to be big. 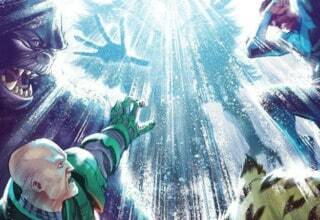 June sees the launch of a six issue inter-company crossover with Boom! Studios’ LUMBERJANES, followed by a one-shot in August, and the series’ Post-REBIRTH relaunch in September. However, before all that begins, the title had a final two issues to wrap up the “Yearbook” storyline. 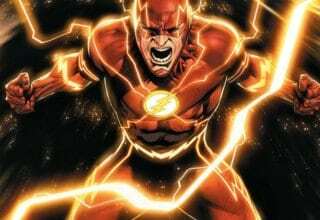 As with the previous chapters, issues seventeen and eighteen are made up of interstitials by writer Brenden Fletcher and artist Adam Archer which surround short stories by various other creators. 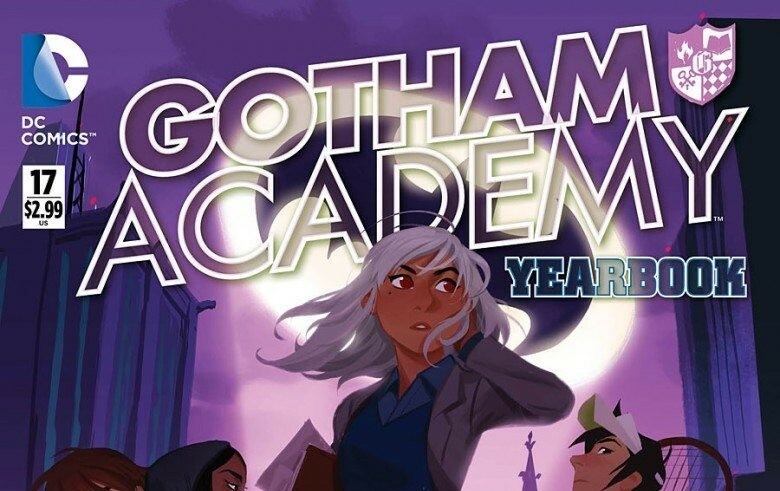 READ: Catch up on the previous GOTHAM ACADEMY “Yearbook” issues here. The interstitials that run through the two issues find Olive and Maps tracking Robin throughout the Academy after he’d purloined Maps’ homemade yearbook last issue. 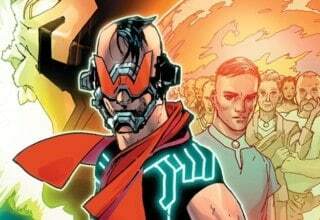 As in the previous three issues, these events lead them to tell stories which serve as the way to get guest creators into the issue. The two debate recruiting Pomeline to help, but decide not to after finding her listening to music intently. 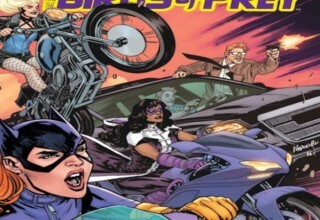 This leads into a tale from Fletcher and his BLACK CANARY collaborator Annie Wu following Heathcliffe’s return to the school and reunion with Pomeline after he’d dropped out to road-manage the band Black Canary. After choosing to leave Pomeline alone, the two travel through the school’s hidden corridors and reminisce about an encounter they unknowingly had with Klarion The Witch Boy’s supernatural cat in a story from writer/artist Michael Dialynas. The final tale in issue seventeen, written and illustrated by David Peterson, revolves around a group of Serpents and Spells (the DCU version of Dungeons and Dragons) players who went to the school in 1984. As the four are attempting to find a place to play their banned game, they inadvertently stumble onto an old lab of Jonathan Crane aka Scarecrow and are exposed to his fear toxin. 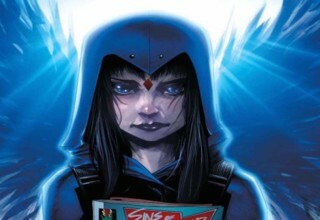 Issue eighteen continues Olive and Maps’ quest for Robin, and once again leads to flashbacks. The first, a story from Fletcher and artist Moritat, tells the backstory of how Professor Milo became involved with Tristan Grey (the student afflicted with the Man-Bat virus), why Coach Humphreys was fired by Headmaster Hammer, and a few other secrets he’s been keeping. 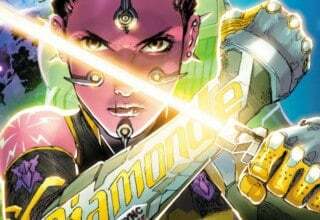 The next story comes from writer Steve Orlando and artist Minkyu Jung and tells of a time that Maps one-upped a particularly strange shop teacher Mister Silversmith. Natasha Alterci writes and illustrates the next story, which revolves around an ill-fated talent show performance given by Maps and Pomeline. The final one-off story comes from writer illustrator Faith Erin Hicks, and tells the tale of Maps’ brother Kyle teaching her to drive a golf cart. The issue’s main story, and GOTHAM ACADEMY’s first volume, ends with Maps and Olive finding out the surprising reason Robin was really at the school. 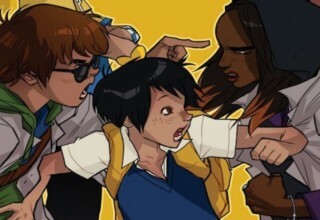 READ: With GOTHAM ACADEMY‘s first volume ending, take a look at why we loved the series. Issues 17 and 18 of GOTHAM ACADEMY make for a really enjoyable finale to the series’ first volume. The interstitial story from Fletcher and Archer is easily the best of those in the “Yearbook” arc. Whereas the pieces in the previous three issues felt like nothing more than staging for the “memories” the conceit of Maps and Olive searching for Robin made these interstitials seem important. They’re full of Fletcher’s trademark witty dialogue and carried by the tremendous characterization of the two character’s friendship. Archer’s art has also vastly improved in the last five issues, to the point where I would gladly welcome him as part of the title’s long term creative team. Finally, the ending of the series (which I won’t spoil) is an incredibly sweet moment that feels earned because the series has been building to it since the seventh issue was released at this time last year. Truly a great job of plot development. As far as the “Yearbook” guest-stories go, I would have to give a slight edge to GOTHAM ACADEMY #17. Fletcher and Wu’s “This One’s For You” is probably my favorite of the seven “memories” spread out across the two issues. I was happy to see the relationship between Pomeline and Heathcliffe return, and I loved the latter’s gesture of giving her a mixtape. It’s a nice moment, that also plays into the “out of time” approach the book takes to technology. Annie Wu’s art is fantastic as usual, and seeing the Academy kids in her art style is a treat. Dialynas’ “A Familiar Story” (the title of which is a play on a witchcraft term) is probably the weakest of the three in the issue, but it’s still very entertaining. The highlight being a cameo return from Killer Croc, including more references to BATMAN: THE ANIMATED SERIES. The final story in the issue, “What Became of The Gilkey Warlocks” by children’s author David Peterson is the second best of the seven mainly due to Peterson’s art. His work on the story is truly stunning, and is easily the best of any in the anthology stories. It’s a cartoonish, yet realistic style that works perfectly the story. Narratively, the story makes good use of the short space allotted. The four main characters are so well thought out that I was genuinely invested in them after just three pages, to the point where I hope the mystery of what happened to them is explored in later issues of the series. The first “Yearbook” style story in GOTHAM ACADEMY #18 breaks with the narrative a bit, as unlike every other story over the course of the arc, Fletcher and Moritat’s “Whatever Happened To Professor Milo?…” shows the readers a story that the characters don’t know. 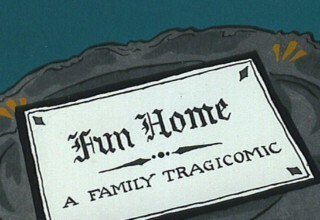 Truthfully, it’s one of the weaker tales in these two issues. The content is important, as it sets up some very interesting possible plot threads for Professor Milo going forward. However the story reads a bit flat, as the exposition overrides the story. Orlando and Jung’s “Precious Metals” is a fun diversionary tale that’s pure Maps, which is always a highlight. The final panel is especially well done, with a reveal that really works for the character. Natasha Alterici’s “Talent Show” is my favorite of the four “Yearbook” stories in issue eighteen. Pomeline and Maps are my two favorite GOTHAM ACADEMY characters and anytime the two interact is usually a treat, especially here. The slight, sweet turn from Pom that serves as the story’s climax is a bit expected, but it still works within the structure. Finally, “Driver’s Ed” by Faith Erin Hicks is a fun little story involving Kyle and Maps. There’s nothing truly earth-shattering about it, but it’s nice to see the two have some time for sibling bonding. The final two issues of GOTHAM ACADEMY’s first volume provide a fitting coda to the series, which has been my personal favorite book on the market in the last two years. While they’re not perfect, they’re still really good and even at times great, and I recommend them wholeheartedly. 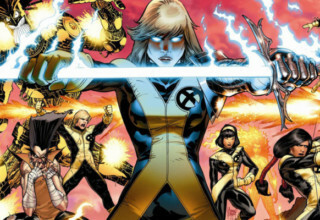 Previous article UNCANNY X-MEN #7 Review: The return of (Arch)Angel?